A War memorial, in remembrance of those men from Idmiston and Porton who died in the two World Wars, in the form of a simple stone cross, stands in the churchyard of St Nicholas Church, Porton. A little distance away stands The Memorial Hall, which was built in 1958 to commemorate the 37 men of the parish who fell in the two World Wars. The following are extracts from the pages of the Wiltshire.gov.uk website. Porton, which is in the parish of Idmiston, is well known because of the chemical and microbiological research station that has been there since 1916. 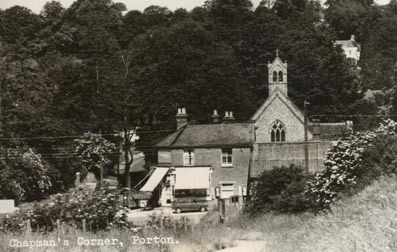 The name Porton could derive from ‘Poor’ or ‘Power’ a possible old name for the river Bourne. By the time of the Domesday Book (1086) Porton had about 30 inhabitants. Idmiston had the most land, sufficient for seven plough teams, Gomeldon had land for three plough teams and Porton had only enough land for two plough teams. Porton had no woodland, but meadow and pastureland and water mills. In the late 18th century White Cottage at Porton was built of cob and around 1790 the present Birdlyme Farmhouse, of flint and brick, was erected. One locally famous character from this time was Moll Harris, a highwaywoman who operated from a clump of trees near Porton Village. A railway station was opened at Porton and a stationmaster is recorded in the 1859 Kelly’s Directory of Wiltshire, while by 1855 a shopkeeper at Porton had also become a beer retailer, doubtless to serve the thirsty navvies. 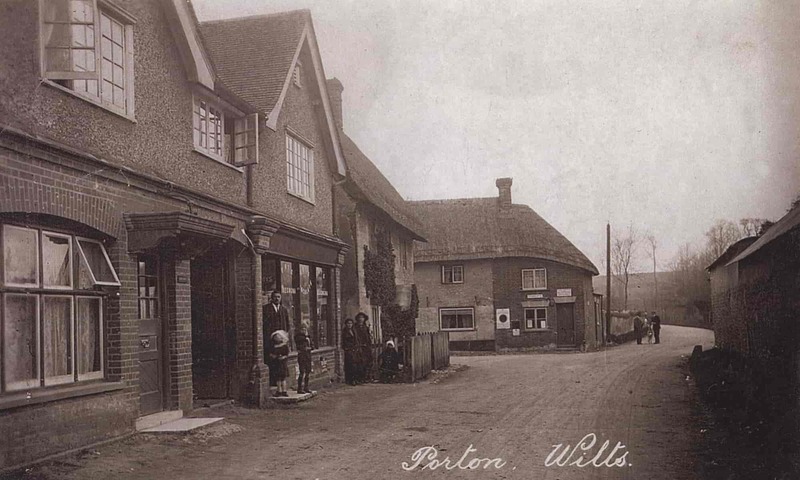 In 1861 Porton, with 176 people, was a large village, whilst only 85 people lived at Gomeldon. In 1867 the economy of the parish of Idmiston was still agricultural with only a blacksmith and mason, a bricklayer, a carpenter, a boot and shoemaker and the Plough at Idmiston, and a beer retailer and shop, a baker, and a grocer and draper at Porton being the only other businesses listed at that time. The fact that the shops were at Porton could be partly due to the supply line of the railway. With the use of gas warfare during the war an establishment was needed to research ways of protecting British Forces from gas and chemical weapons. 3,000 acres of land were bought by the War Department and designated the Gas Experimental Ground. Laboratories were in huts and Porton Camp was established. A meteorological section opened in 1916. In 1917 the decision was taken to build a 24-inch (60cm) military light railway. Part of the line to the south of East Gomeldon Road was on trestle and known as the Winterbourne Trestle. There were five steam and two petrol locomotives. 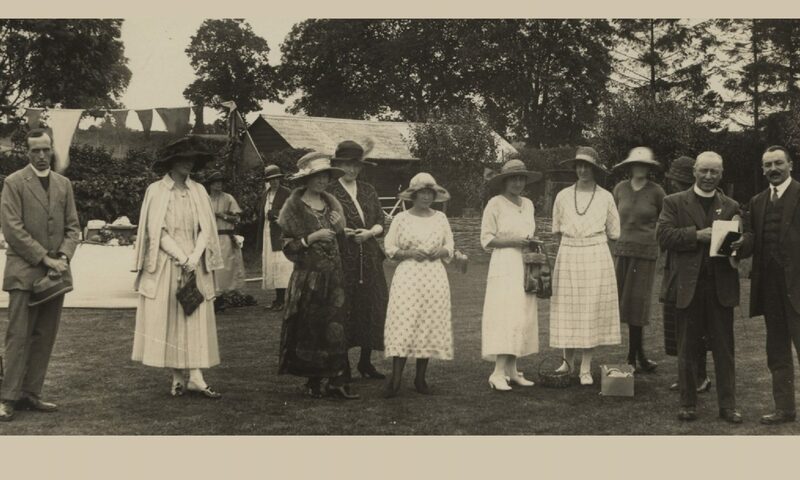 More land was acquired in 1918, bringing the total up to 6,196 acres, and some of this was adjacent parishes, including one over the county border in Hampshire. There were only 5, 482 acres in Idmiston parish at that time. The Headquarters building was erected in 1918 and at the end of the war Porton Camp contained 50 officers, 1,000 other ranks and 500 civilian workers. On an agricultural note the floating of water meadows (controlled flooding of meadowland in winter to bring about earlier growth of grass for sheep) ceased in 1927. The Silver Star Bus Service was set up in the early 1930s and by 1937, when passenger traffic on the light railway ceased, had taken over most of the civilian transport to the camp. There was intensive work at the camp, by now known as the Chemical Defence Experimental Establishment (the Experimental was later dropped), on further refining the defences against gas warfare and developing effective counter measures. After the Second World War the Microbiological Research Establishment was built off Manor Farm Road in 1949. The Porton Light Railway continued in use for freight until 1952-3. In 1979 the Centre for Applied Microbiology and Research opened in a new red brick establishment. In 1991 the Establishment changed its name to the Chemical and Biological Defence Establishment to reflect its modern role more accurately. During the last quarter of the early 20th century an extremely important nature reserve has been established in Porton ranges. Attempts have been made to reintroduce the Great Bustard here.